Even though Liverpool has much the same attractions as its more famous neighbours Manchester and Birmingham, the fact that it is a smaller city has helped to keep it somewhat more under the radar and therefore Liverpool buy-to-let property prices are even more affordable. Why invest in Liverpool buy-to-let property? While Liverpool still has its famous port and its celebrated music scene, it has also successfully diversified its economy away from being largely dependent on commercial shipping and heavy industry and towards niches which are more in keeping with modern, 21st-century trends. As such it has pulled itself out of the economic doldrums and is now thriving, increasing demand for buy-to-let in Liverpool with property investors both domestically and overseas. As with Manchester and Birmingham, the local authorities are very eager to maintain affordability and so are encouraging appropriate and sustainable house-building programmes. This means that investors generally have plenty of options to buy off-plan buy-to-let property in Liverpool as well as a selection of new-build and resale properties to invest in. As with many northern cities, the Liverpool property market is fairly fast paced so it’s generally quite straight forward for investors to expand their portfolios or should they wish to exit their investment, there is no shortage of interest in Liverpool buy-to-let property. Liverpool has no fewer than three universities and it is also home to the Liverpool Institute of Performing Arts, which is one of the UK’s most prestigious performing-arts schools. As such there is always a strong demand for student rental accommodation. Liverpool also has a healthy population of young adult professionals, who also tend to be natural renters. 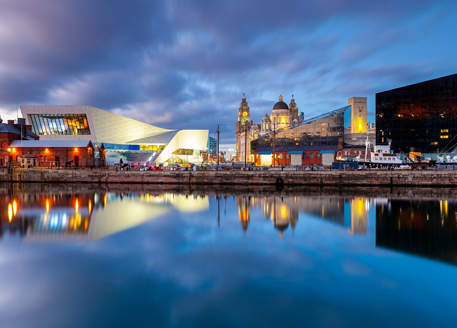 Additionally, Liverpool has leveraged its cultural standing to develop a thriving (and growing), year-round tourist industry, which provides opportunities for those interested in holiday buy-to-let in Liverpool. Liverpool buy-to-let property achieves some of the highest rental yields in the UK. Investors interested in purchasing buy-to-let property in Liverpool can expect to achieve a minimum of 7% to 8% and in some areas it is far from uncommon to achieve yields of close to 10% and the right properties can push this up to 11% or even slightly beyond. Here are some of the top areas for Liverpool buy-to-let property investment. 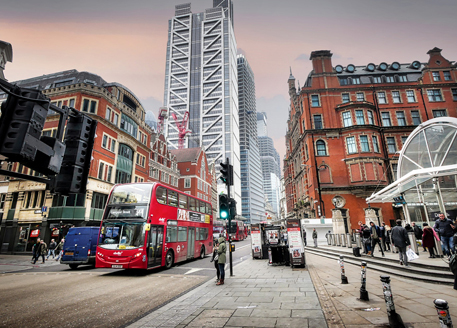 L7 - In 2018, the L7 postcode area provided the second-highest rental yields in the whole of the UK (9.79%). As you might have guessed from this, it is hugely popular with students as it provides convenient access to two of Liverpool’s three universities and it is also popular with young adult professionals due to its combination of historic buildings, modern transport connections and proximity to parts of the Knowledge Quarter, making it a key hotspot for Liverpool buy-to-let investment. L1 - Liverpool is probably one of the few cities in the UK where people on average incomes can still afford to live right in its beating heart, close to all the action and what is even more impressive is that it actually provides very decent yields for investors. Even though L1 isn’t prime student territory, it is popular with Asian students due to nearby Chinatown, but its main demographic is young adult professionals who want to be close to both work and the many leisure facilities near this postcode district.